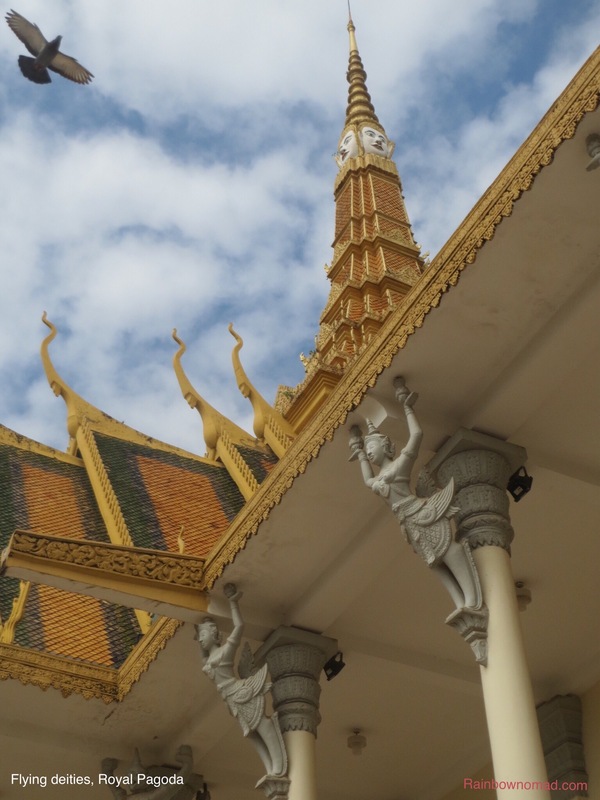 We arrived at dawn in Phnom Penh with the sun touching the crenallated tiles of the Royal Pagoda. 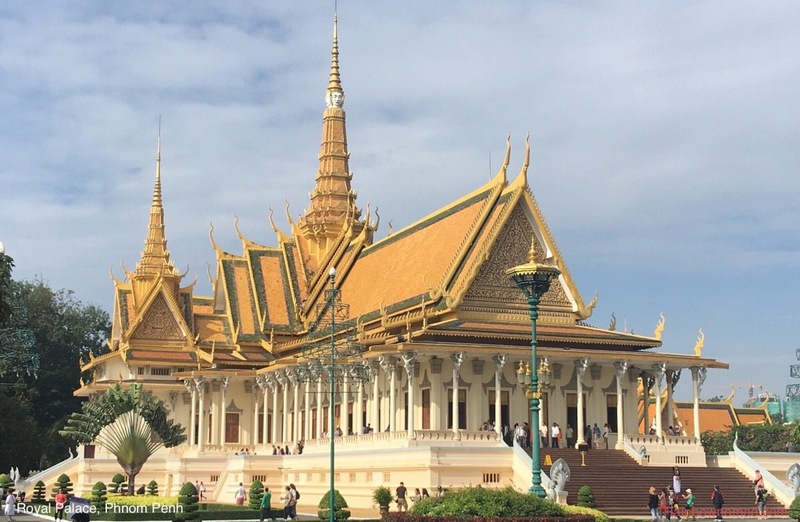 The city of Phnom Penh was initially established in 1400’s but after many periods of abandonment was re-established as the capital of the Khmer people in mid 19th century, when King Norodom built the Royal Palace complex. As the French had already claimed colonial rule over Indochine, the building was also influenced by French architecture. It remains a very Buddhist place. Phnom Penh has wide tree-lined boulevards in the city centre which appears quite modern, however we found evidence of homelessness among people living in the rubbish behind the Night Market. Government signs warned against corruption and child prostitution. Our tuk-tuk driver took us to see the King Norodom Sihounuk memorial. The king died in 2014 and is buried in a stupa in the palace grounds. He was notoriously crowned twice, once before the Pol Pot regime, with whom he cooperated for a time, and then again in 1993. Cambodia is now a constitutional monarchy. We were happy to set sail up into the Tongle Sap river which is a 100km channel linking the Mekong with the Tongle Sap Lake. 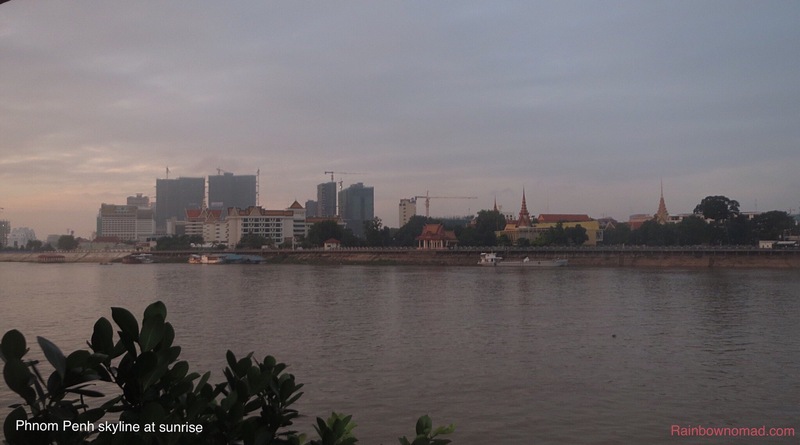 This river flows backwards in the wet season from May to October, when the waters of the Mekong flood over the silted mouth of the Tongle Sap Lake and increase size of the lake from 2500 square kms to over 13,000 square kms. It is during this time that many fish spawn. 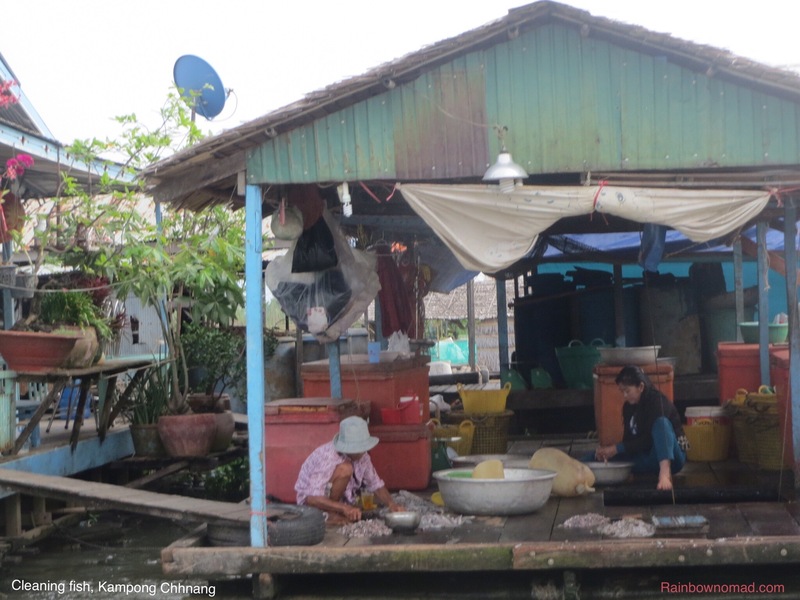 Then in the dry season, when the water drains back out, fishing begins in earnest. 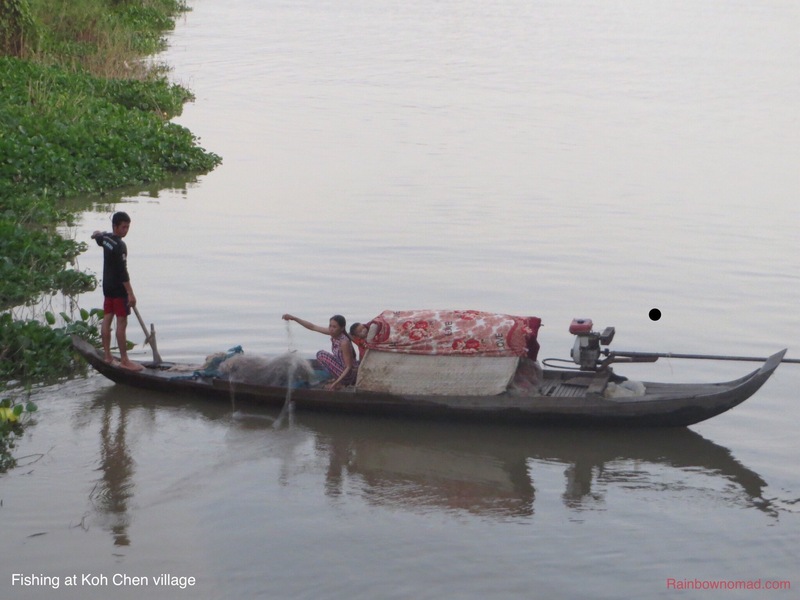 Each morning as we awoke, the fisher people were out in their small powered boats, throwing out their nets and hauling in the fish. 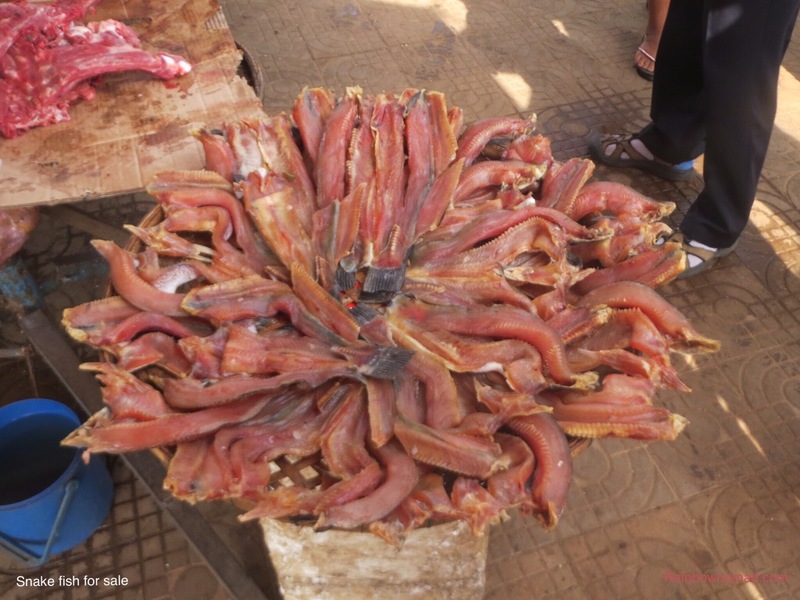 The markets were full of dried and salted fish for sale. 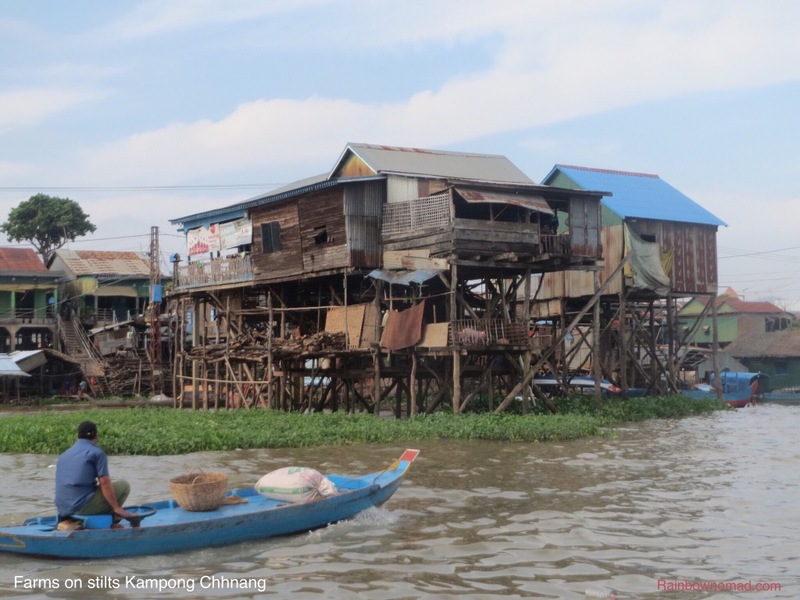 Our cruiser could not sail into the Lake so we went by small powered flat-bottomed boats to Kampong Chhnang and then the Cham floating villages around the Kampong. Here we saw how life is conducted completely on the water. 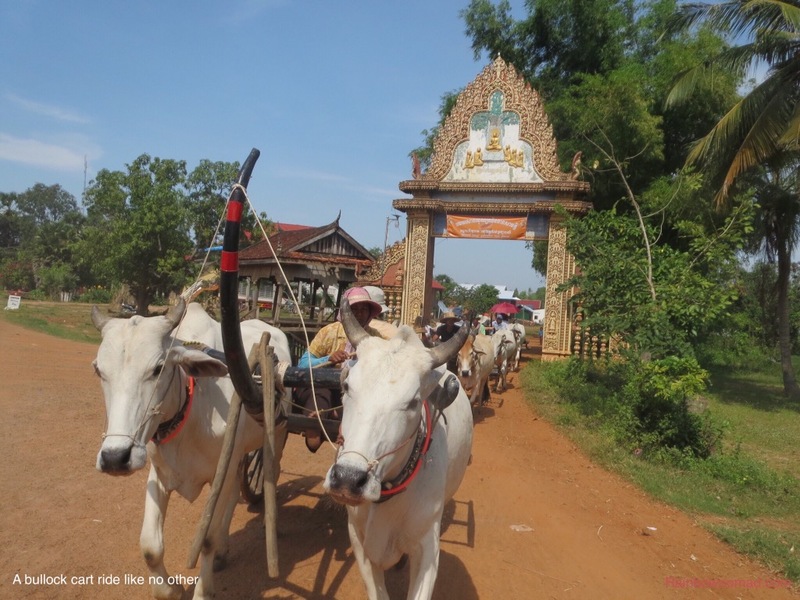 The Chams were originally from the central Viêt Nam area but here in Cambodia practice Islam, so we see a number of mosques along the way and women with faces covered by scarves. 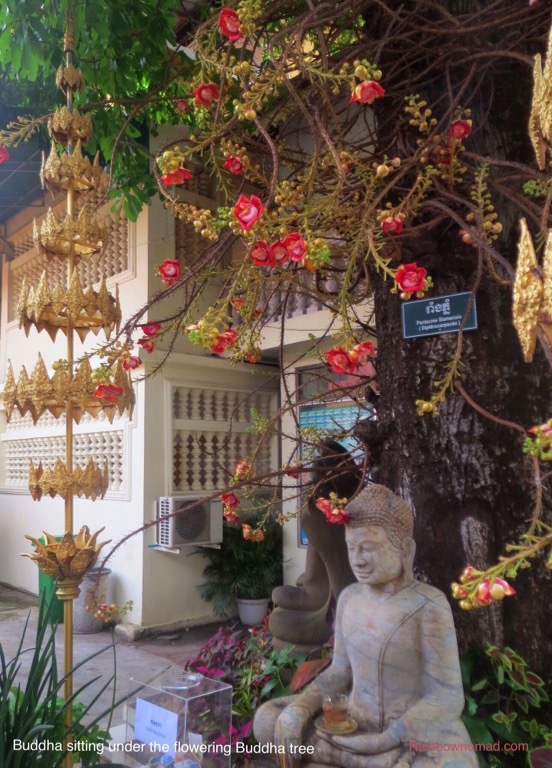 We disembarked at Prek k’Dam for a trip to the Buddhist monastery at Oudong. The Buddhists of Cambodia practice Mahayana Buddhism which originates from Tibet. Most men will become monks for a period of 3 months to a year, to give thanks to their parents. Their accommodation is provided by the monastery and they receive donations of food from the local population. The system is still quite hierarchical with men firmly on top. We were invited to participate in a Buddhist blessing ceremony and our guide took us through the complex where a number of elderly men and women lived very simply in the monastery grounds, with food provided. This type of charity is for those who have no family to look after them. The only older men we see are in the monastery. Later we take a bullock cart ride from Kampong Tralach back to our boat. The Khmer people have suffered civil war from 1965-1998. Firstly, the Americans dropped bombs on the Viet Cong travelling the Ho Chi Minh trail, which went through eastern Cambodia. Then from 1965-1975, the terrible Pol Pot regime indiscriminately killed thousands of people. This was followed by years of civil war with the Vietnamese and Laotians. We learnt that 2.75 million of bombs and 4 million land mines were dropped or placed here. But even prior to this, neighbouring countries were eyeing off the mineral resources of the country. The opulence of the pagodas and the beautiful brocaded costumes of the Aspara dancers give evidence to earlier richer times. Our guide Soependtra, or Tra for short, took us to a silver making village where we visited the village school. 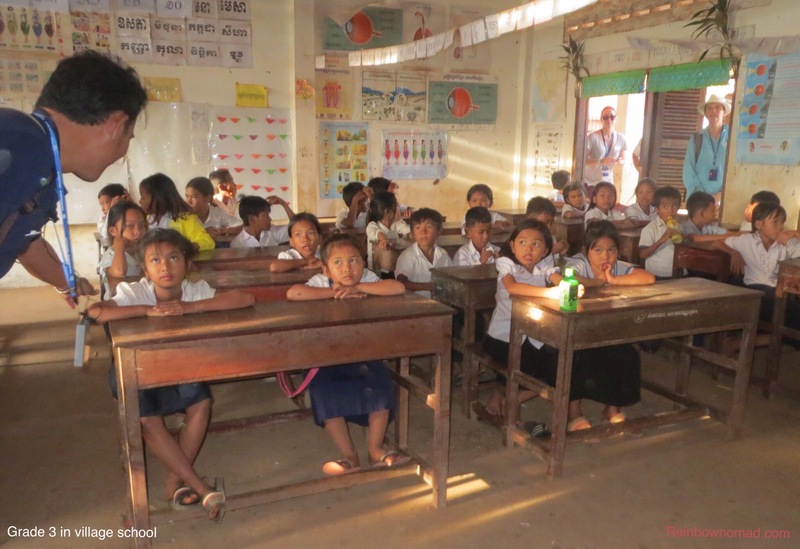 The children have 4 hours of schooling in two shifts. The 8-10 year old children, who looked about 6, told us they wanted to be doctors and accountants. Tra told us of his family’s escape from the Khmer regime. His father, a general in the King’s army and his mother a nurse, were obvious targets to be eliminated. They burnt all their clothes, ID cards, roughed the hands to appear peasants and miraculously escaped over the border. 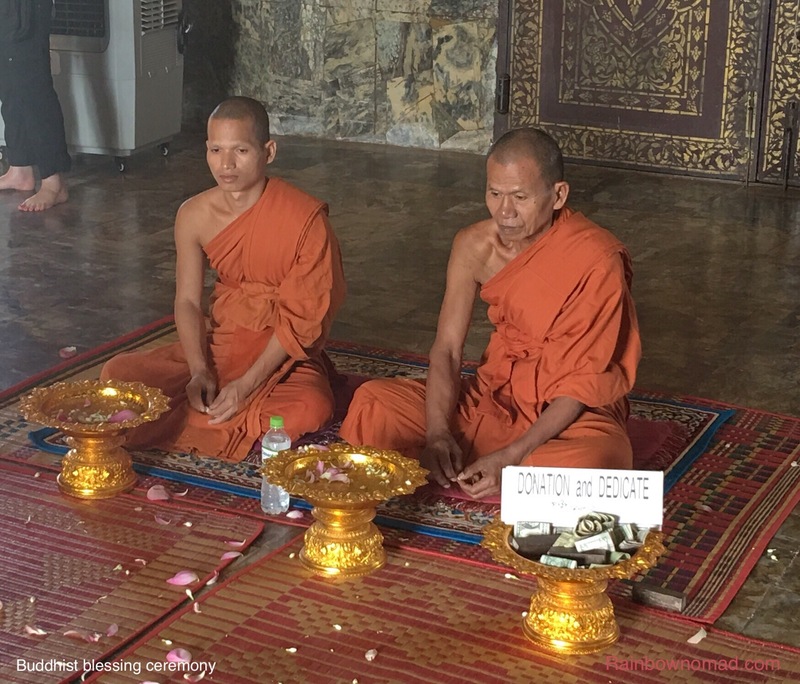 Despite this, Tra managed to receive an education, including part of a law degree, however tour guiding makes more money to support his family, look after his parents and eventually undertake his time, like most men, as a monk. This will give thanks to his parents and bring prosperity for his family. His serenity and erudition were quite inspiring in this land of contradictions.